Well, all things considered, I’m doing good. I think I’ve figured out mostly my feelings about things and its ok. I guess the thing I’ve gotten from my processing is that ,when I spoke out about how I was treated by Library admin in that email , they took my attitude and said basically, you need to go. We don’t want that kind of attitude that doesn’t agree with us. Being I was only an extra help employee, they must have just wanted to cut the cord completely. If I had any status of permanent part time, they couldn’t have done anything. So, its all pretty clear to me the sequence of events. I think it started with them blowing it that day the money went missing and telling me to not work at the branch. They didn’t handle it well, but at that point there was no going back. Then my email about how angry I was they would treat me this way after 8 years of basically running that branch. So, it was my outspokenness that really sealed the deal for them. They don’t want any dissension. Remember the person who lost the money is still employed because she is permanent. I’ve decided not to have anything to do with the library and just step away. I will help with our Friends big fall book sale because I said I would. But other than that i need to just not put myself in a painful situation. I know how I am and I’d just obsess every time I went in. So, really its better for my health not to put myself in that position. 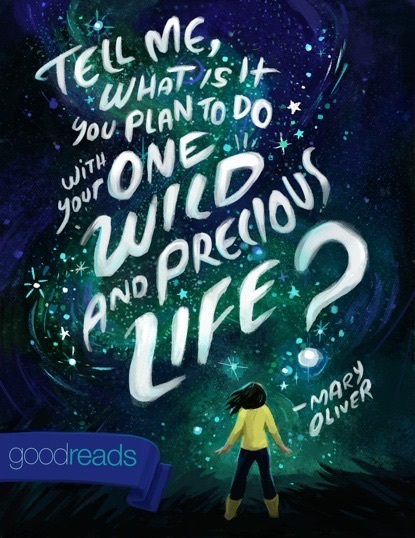 BTW, I love this quote by Mary Oliver! This is my last week on Pomalyst and then I get a 2 week break. My doctors on vacation so I won’t see him till august. Plus my neutrophils are taking @ 2 weeks to come back up. I’m really hoping my free light chains have gone down. We shall see.